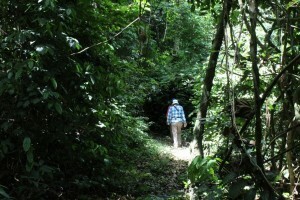 Exploring intact forest within the Bia National Park. Photos by Lydia Cole and Jenny Hodgson. The year-long NERC-funded project: Decision support for restoring ecological networks in rapidly developing, biodiverse countries, got off to an exciting start with a trip to Ghana from 8th to 17th April, 2018. Jenny travelled with the newest member of the Condatis family, Lydia Cole (Research Assistant), and they both learnt a huge amount from their nine-day tour . Dr Winston Asante, our Project Partner based at the Kwame Nkrumah University of Science and Technology (KNUST) in Kumasi, was an excellent host and patiently answered hundreds of questions from them both! 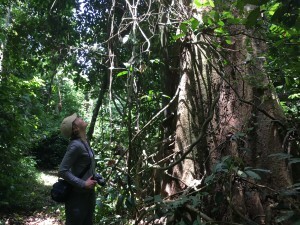 They visited the Krokosua Hills Forest Reserve, Bia National Park and the landscape in between, dominated by cocoa farming. Jenny and Lydia saw first-hand the difference between sun and shade cocoa. They also learnt of the environmental benefits and economic challenges of farming the latter. 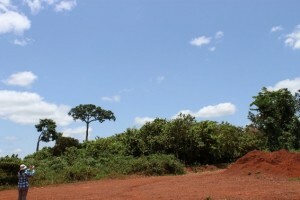 An example of a shade (left) and a sun cocoa farm (right), i.e. with/without timber/fruit trees providing shade cover for cocoa trees, within the landscape between the Krokosua Hills Forest Reserve and Bia National Park. Photos by Lydia Cole. 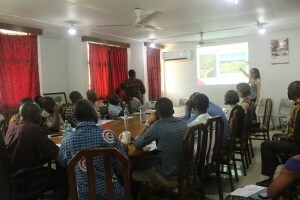 Towards the end of their visit, they held the first stakeholder workshop for this new project at KNUST. It was attended by 19 people, coming from the University, the CSIR Forest Research Institute of Ghana (FORIG), the Forestry Commission and the charity, Solidaridad. Prof. Kate Parr, one of the University of Liverpool members of this project, was also able to join in. Jenny introduced the attendees to Condatis and Lydia introduced the aspirations for the Ghanaian case study in the Krokosua Hills area. A lively discussion was had about potential species to model and broader conservation/natural resource management questions to address with the project. Jenny and Lydia learnt a huge amount from participants about some of the current barriers to increasing the number of shade cocoa farms within the landscape. We thank all participants for attending and providing invaluable feedback at the early stages of this project. Jenny explaining Condatis to workshop attendees. Photo by Gordon Manu. 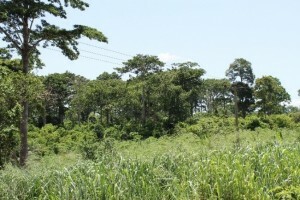 With new knowledge and understanding, the Condatis team are now considering how Condatis could help with connecting up wildlife across this Ghanaian landscape of interest. We plan to finalise the details of this case study over the next month, so watch out for another blogpost soon for more information. 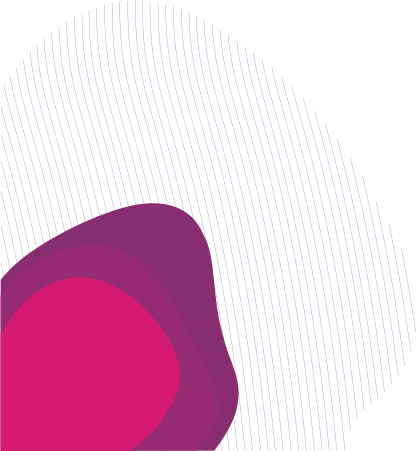 In the mean time, do email contact@condatis.org.uk if you have any questions.